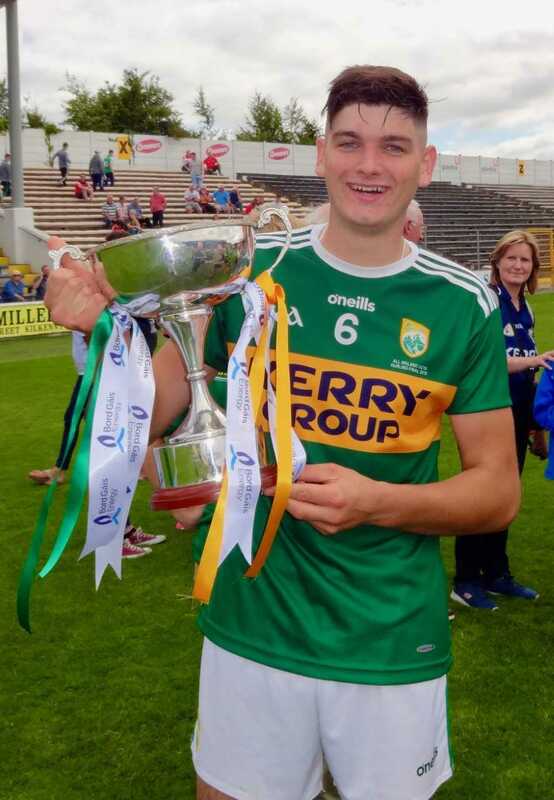 You are here: Home/ News/ Kerry are Richie McElligott Champions! Corey O'Reilly and Richie Mullan tapping over a point each for Derry. Even though Kerry were playing with fourteen in the second half sometimes it looked as if they had the extra man so dominant were they in all sectors of the field. Barry O'Mahony opened their account with a point in the second period followed by points from Michael Leane with Shane Conway providing two before Gearoid Fennessey had a point shortly after his introduction. Shane Conway added two more points as did Michael Leane, Eoin Ross chipped in with a goal and Brandon Barrett also had a point. Derry only added five points in the second half, their huge effort was not enough for this smooth running skillful hurling machine that is the Kerry under twenty one team.This team find themselves in the dilemma of being too good for the B competition and perhaps not good enough for the A competition, there needs to be a three tier competition.